Dan Deacon to Headline Star Party’s Witching Hour Halloween Trip-Out Oct. 23 at The East Room! 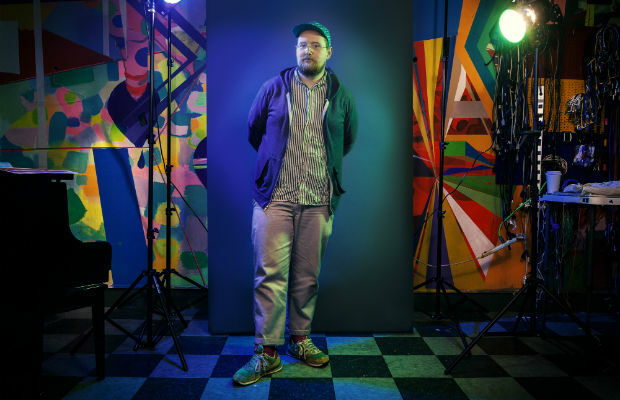 Baltimore singer-songwriter/21st-century classical composer Dan Deacon will headline Star Party’s Witching Hour Halloween Trip-Out at The East Room this Friday, Oct. 23. Tickets for the event, which kicks off at 8 p.m. and will include yoga exercises, professional huggers, a viewing of The Rocky Horror Picture Show played backwards and an opening set by Nashville’s own Pineapple Explode, cost $15. Buy them here. Deacon first made a splash in the late 2000s with seminal electro-pop releases like Spiderman of the Rings (2007) and Bromst (2009). Since then, he’s expanded his horizons with the relatively pastoral and mature America (2012), a cover of Brian Eno’s “1/1” for the Translational Drifts: Moogfest Vol. 1 EP, and scoring the most disturbing Adult Swim meme video yet. Perfect for Halloween. Check out the video for “Feel the Lightning,” the opening track from this year’s Gliss Riffer, after the jump. Chris Clancy lives in Nashville with his wife and two kids. Follow him on Twitter at @ClancySpeaks.